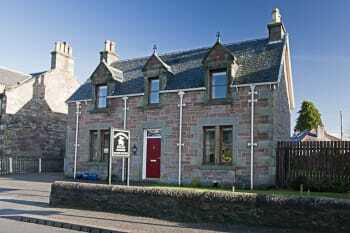 Bannerman Bed and Breakfast is a small bed and breakfast set in the Highland capital. Established in 2006 we excel in providing a relaxed and comfortable environment, whether you're here to explore the beautiful Scottish Highlands, attend a special event or travelling on business. We are 15 minutes walk from the town centre and there is a choice of restaurants and Eden Court Theare just 10 minutes walk from here. 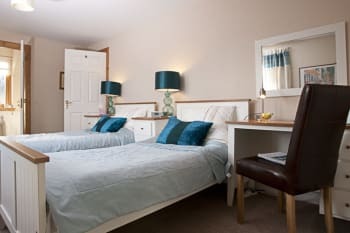 Bannerman Bed and Breakfast is on the A82, the main tourist road to Loch Ness and Fort William. Free off-road parking is available to guests. We take time to welcome guests and provide local information and city maps. We can also make recommendations and restaurant reservations. After a good night's sleep a hearty breakfast awaits you, which includes local produce and healthy options. Vegetarians and special diets can be catered for. We look forward to welcoming you here! Every bit as welcoming, comfortable and congenial as on my previous visit. the best B&B I've enjoyed on my many visits to Inverness. Alison and Hector are wonderful hosts. Botanical Gardens are a must. There was a lovely friendly reception from Alison on arrival. The room was perfect for my needs, comfy, clean and warm. The facilities were spot on. Excellent choices for breakfast for those with an appetite, but for me the fresh fruit, yogurt, and 'overnight oats' couldn't have been bettered. Bannerman would always be my first choice of B&B in Inverness. Bannerman is just around the corner from Eden Court Arts Centre with theatres, cinema, restaurant etc. Also close to the riverside for a lovely walk into town where there are numerous cafes, bars and restaurants to be found. Nice and welcoming. Lovely clean room, comfy bed, good shower. Easy walking distance from from city centre along road or the lovely walk along river and one of the wobbly bridges (even in the rain). Breakfast was very tasty both the over night oats and the hot food. Urquarts. Great food. Entrance looks very unassuming as if you are going upstairs to pup but restaurant always busy with regulars, lovely and cosy atmosphere. Very good in accommodating dietary requirements. we were very pleased with the rich choices for breakfast, the very friendly host and the cosy room. We definitely would like to come back again! I really enjoyed to stay at Bannerman Bed &Breakfast!Thanks for everything! The Bannerman B&B has everything you would wish for. A nice room, good bathroom, great breakfast and very nice staff! We felt very welcome and at home here. BREAKFAST WAS EXCELLENT. The room was spacious, clean and tidy. Everything you would hope for. Black Isle Pub, Hootenanys, both on Church Street. Alison was a great host, she did an excellent breakfast and was very helpful. As it was our honeymoon, she was so kind to put a little card in our with best wishes to our wedding. We loved her dog Hector! We had dinner at The Castle Tavern, which serves good food with a lovely view over Inverness. Wonderful location in a beautiful home. The owner was very friendly and helpful, and served a delicious breakfast. Good location with walking access to grocery. Very close to Culloden Moor. I highly recommend this Bed and Breakfast establishment for a welcoming and comfortable stay. Alison, the owner, is such a friendly and helpful lady. There is so much to see and do in Inverness, such a beautiful City. A cruise on the River Ness to Urquhart Castle is a must. The scenery is breathtaking. The local bus services and rail network are very good. Nice and friendly, just a nice walk away from the City centre. Even though there is a busy street right at the door the room overlooking the garden is quiet. Small but very nice and clean bathroom. We enjoyed our stay and the nice breakfast and a meeting with Hector the dog in the morning. Everything was perfect in our stay there. 15 minutes walk to the town center. Great breakfast. Very nice host. She helped us to Do the planning of our visit to Inverness. We stayed two nights and we couldn't had been better. A well taken care of Bed and Breakfast place, cosy room and very comfortable bathroom- fantastic breakfast. Just a bit far out of city center for me being without car. Very nice and clean B&B for great price, nice view from the window, everything clean, breakfast amazing, huge wardrobe. Friendly welcome. Nice and clean room. Very good bed. The breakfast in the morning was excellent. The walk to the isles in the river. Beautiful and very old and high trees. The town Is interesting with many nice shops. The walk along the Caladonian Canal. Alison was very welcoming friendly and helpful. The location was great, easy to walk to or just a short taxi or bus ride from the rail station. There was a bus stop right outside. Surprisingly quiet and a really excellent place to stay. Breakfast was great with big choice of fresh food including vegetarian. Would definitely use again and recommend to friends. Close to Eden Centr for theatre films and restaurant. Short walk to Ness river and Ness Island and city centre and also Cathedral and castle. Our third visit at Alison's wonderful B&B. It was great - as always. Thank you so much! really confortable!!!!! excellent breakfast. friendly. 100% recommendable!!!! Excellent host. Room was delightfully clean and ambiance was excellent. Breakfast had lots of choices, local produce and very fresh. A great place to stay! 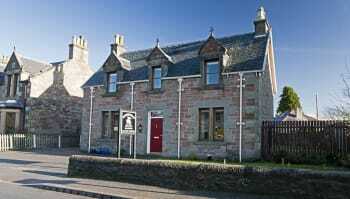 I thoroughly enjoyed my stay at Bannerman B & B and found that the owner (Alison)was a most delightful and helpful person for anyone staying there. The environment and facilities were all first class. 1 Go Dolphin watching in the Moray Firth. 2 Take a Hop On Hop Off bus tour of the city. 3 Go on a cruise on the "Jacobite" steamer on Loch Ness. 4 These restaurants are first class and the food also:- RocPool and River House. Johnny foxes as a live music location is a great place to go to. One of the best B&B, where we have been. Very good breakfast and service. Isle of skye tour is good. Lots to see Scotland. Thank you for your warm welcome. We enjoyed it. The room facilities were very good, including the bathroom. New towels daily. Very good fresh made breakfast, considering special wishes. The only weakness is the strong traffic noise from the main street where the house is positioned. Out of that the location is fine. It has a strategically good position. You can walk beside to the city centre beside river Ness. Walk Glenurquhart Road in direction to Loch Ness beside the cemetery hill until the next roundabout. Then walk beside the caledonian canal to its end at a place called Clachnaharry. See the 4-step lock. Walk on a big half circle through Merkinch Local Nature Reserve to to South Kennock. Go on beside river Ness until the city centre of Inverness. Alison is a great host making guests feel very welcome. The facilities are comfortable and breakfast is lovely. Just a short 10 minute walk and you are in the centre of Inverness so ideally located. Thank you for two of the best nights we had staying in hotels / b&b’s while on our trip to the uk. The accommodations were great and the food was very good and the people were very nice. Very comfortable room and very good breakfast! We enjoyed our stay! We really enjoyed our stay at The Bannerman! Alison is a wonderful hoste. Especially notable are the well appointed rooms, the lovely proprietor, and many breakfast choices,especially the cold buffet. Overnight oats are delicious! If you go to Rosemarie and Fortrose for the Groam Museum and dolphin watching e sure to visit the Fortrose Cafe delicious food, a warm welcome, and excellent coffee and tea. Very nice room, good breakfast, everything was perfect. Go for a beer (and maybe a pizza) to the Black Isle Bar! Great location within walking distance of town centre and train/bus station (1.5 km). Alison is a lovely host, breakfast is excellent with locally sourced food and rooms are very nice and include a handy mini-fridge. Short walk to River Ness pathways and Eden Court (restaurant, theatre, cinema). On bus routes. Easy to find for walkers completing the Great Glen Way at Inverness Castle. Lots to see in the town itself and it is an excellent spot to use as a home base for day trips which I would do next time for sure. I booked the Bannerman B&B as a base for a 5 day visit to the Highlands with my mum. Alison was a very welcoming host and she gave us some great recommendations of places to visit. The room we stayed in was large and had all the things you could need including a little fridge. The toiletries too were lovely in the en suite bathroom. Alison gave us a great start each day with a perfect breakfast before we started our travels and sightseeing. We loved staying here and will be back again some time in the future! thank you Alison! Lots of restaurants in Inverness for the evening, but do book if you want a particular reservation time. We often couldn't get a table until after 8.00pm which was fine for us. Thanks so much for taking time to post your review. I'm so glad you and your mum had a good time and enjoyed your stay at Bannerman Bed and Breakfast. Lovely team work between Alison and Hector. Alison is always very helpful and very knowledgeable about the local area and facilities. What she doesn't know she finds out for you very quickly, this helped us decide how we would spend our time. Our room was beautiful and very comfortable. In particular, Alison was very happy for us to use the room to come and go as we wished throughout our 5 night stay. This was really helpful and a real plus. Our breakfast each day was lovely, with a brilliant varied menu to choose from. Alison takes great care of her guests individual needs. We felt truly welcomed and we recommend her very highly. Alison has lots of leaflets and books for you to explore the local area. The B&B is a short car / taxi ride from the train station, easy to find, a short walk into the city along the side of the river. Thankyou Alison and Hector. Trip to Loch Ness to find the Beastie !! We went on a bus trip from the bus station. There are other ways like catching the local bus service but we had the added entertainment and information including the history from the coach bus driver which was excellent. Take a walk at the side of the river in the evening with the fairy lights in the trees and the amazing constantly changing coloured lights over the main road bridge. walk over the two bouncy footbridges, they are fun. Visit the pubs with Scottish and Irish folk music thing Gellions on the main hight street also MacGregors Bar a great place 109 - 113 Academy Street. Run by a guy who is a totally amazing fiddle player in 'Blazing Fiddles'. Theu have a session for people to join in on a Sunday afternoon. 4.45 - 8pm. We found people everywhere were really friendly and we soon made friends for the evening. Visit the Black Isle if you have time, the local bus service is useful. We saw the dolphins which are just magic.. walk along the beautiful beaches and explore the little villages, such as Cromarty, with craft shops We didnt get chance to visit the Art Gallery and Genealogy would be on my list of places/ things to do, I think they are both free admission. We had a wonderful time. Thank you Alison and Hector. Thoroughly enjoyed our stay with Allison and Hector. Lovely area for walking once you got off the main road. Central for heading off on day trips. Thank you Allison for making me stewed rhubarb. We went to an Italian place called Zizzi. It's a chain restaurant but the one in Inverness provided good service and delicious food. For lunch: The Rendezvous Café/14A Church Street, Inverness IV1 1EA, Escocia For dinner, live music and good beer: Hootananny Inverness Pub//67 Church Street, Inverness IV1 1ES, Escocia To see: Culloden Moor, Clava Cairns, Inverness Castle and Lonch Ness with Jacobite Cruisses. There are a few real ale pubs and many food places to choose from - If your doing the Etape Loch Ness ride this is ideally located!! Very welcoming and very comfortable bed and breakfast. Good walking distance to the centre and shops restaurants etc. My stay at the Bannerman B&B was completely delightful. Everything was made so easy by the staff who were kind and welcoming. Breakfast was delicious and the room (Snug Room) was quiet, comfy and warm. I couldn't have asked for anything more. The canal is a short walk down the road and the river is very close by and both are lovely to walk along on cold winter mornings in November (when I was there). Comfy and tidy room! Also the breakfast was really nice! Only 10 minutes away from the lovely city centre. I had the most lovely room that was clean, warm and had everything I needed. The bed was so comfortable. I felt very looked after! At a swimming competition..... saw nothing but the pool! Alison is a thoughtful and very nice host. The room was beautifully decorated and very comfortable. The many breakfast options are delicious and can suit most guests. We really enjoyed our stay at Bannerman B & B. Highly recommended. Thank you again Alison for your hospitality! Advance booking in Hootananny is necessary, especially during weekends for the live music. Loved it there and breakfast was amazing. Quick walk to the co-op for food and down to the river to walk into Inverness. Had a lovely stay at Bannerman. Would definately recommend to anyone. Second stay here and it is just perfect for visiting Inverness. Off road parking and ten minute walk into the centre. Good wifi connection. Room was very clean and bed was comfortable. Breakfast was very good with lots of choice. This will be our first choice when visiting Inverness in the future. La decoración es esmerada con detalles muy cuidados. La habitación tiene todo lo necesario (incluso hay una pequeña nevera). Es cómoda y tiene buen tamaño y el baño también. Está bien situado, a cinco minutos andando del río. A pesar de estar en una calle con tráfico, la habitación está perfectamente insonorizada y no hay ruido. El desayuno está muy bien con opciones variadas que se eligen en el momento. Un muy buen sitio para descansar en Inverness. Easy walk into the city via the river. Good choice of breakfast dishes. Roomad everything we needed. We had a great two nights stay in your house. The room was perfect, huge, warm, clean and well-equipped. The breakfast was very delicious! Thank you for your kindness and hospitality! We had a great lunch at a pub called "Number 27", worth to visit! Bannerman is a warm, well appointed B&B. Alison is a fine host who immediately made me feel at home and provided great advice on things to do in Inverness. Her four legged companion, Hector, is lovely and always up for a pat. Highly recommended. The Eden Theatre is close by and a good venue for a glass of wine before a film or stage production. A good way to end a day. Furbished with love, everything was clean as could be, really good service - would come back again every time. A really nice accommodation, a bit far from the station but clean, confortable and with a great breakfast. To recommend. We stayed two nights following our week trek. Alison was very helpful and polite. Our room was a good size, comfortable bed and good shower. Breakfast was superb. The Bed and Breakfast is very well located, only about 15 minutes walk to the town centre. We had a meal at a Spanish restaurant 'La Tortilla' and the following night we visited an Italian restaurant 'Little Italy'. Would recommend both, absolutely brilliant service and food. We visited the Cathedral and walked around the castle which is now a Sheriff Court. Close to downtown bars, restaurants and services. Good starting pioint for exploring the region. Alison welcomed us very warm and we felt very comfortable at her B&B. The absolute clean room has been cozy and lovely decorated. We can highly recommend the Bannerman. Thanks again for the viewpoint tips you gave us, to be able to see the Dolphins. Beach of Fortrose to see the Dolphins. Nicky Tam's Restaurant and Bar, riverside Inverness - the best Sticky Toffee Pudding!! Lovely hospitality. Great food. Very close walking distance to town. Friendly. Very clean rooms. Helpful and gave good travel tips on places to go and things to see. Would definitely stay again. Walk down by the river into town. Check out the castle in town and then walk to one of the restaurant store or pubs in town afterward. Take a 20-30 minute trip to fortrose to see the dolphins. Lovely comfortable B&B close to all amenities. Excellent breakfast. Alison is a friendly and helpful host. This was our 2nd visit and we will be back next year. Very nice, clean room. And the breakfast was also delicious. From there you get a great walk to the center. Our stay here was lovely. Alison was delightful and the room was immediately inviting and comfortable. The facilities were great, with complimentary snacks and tea in the room with a mini fridge and tourism info etc. The bathroom was exemplary with its bright and clean aesthetic, heated towel rack and great shower. The breakfast was fantastic, featuring a splendid Scottish breakfast among other options (vegetarian etc), including a yogurt and oatmeal bar. Yum! The only down side were the locks, while fully functional and confidently safe - I found myself fiddling with them (they require more than one turn...I think). The walk to the river ness is a stroll you'll never tire of! Bring an umbrella, but don't open it up on the first sight of rain. Dress for off-and-on rainy weather. This was a great location within easy walking of the river, downtown area, restaurants and pubs. The room and bathroom were very comfortable and the breakfast was delicious. While staying here we drove to Cairngorms National Park to hike and visit Balmoral Castle. It was a long day of driving but beautiful and definitely worthwhile. A visit to Culloden Battlefield was very worthwhile and the tour by the park ranger was very interesting. While here we also did the 2 hour boat tour on Loch Ness which included an hour at Urquhart Castle. Clean, comfortable room. Very good breakfast. Best b&b on our trip. Try River House at 15 min walk downtown. Allison was a wonderful host who was gracious and helpful. Attention to detail did not go unnoticed: such as multiple electrical adapters for travlers' needs and a table filled with information relating to local restaurants and sights placed right near the door to our room. Mediterranean restaurant on the corner of Castle Rd and Bridge St was really good! Scotch and Rye bar is great! If people are looking for a great Scotland and/or Outlander tour, recommend them to Hugh Allison at Inverness Tours! Spotless and clean with a wonderful full Scottish breakfast! Great shower! Bed was a bit too soft for me. Easy reach to the main town, lovely walk over the Ness! Very welcoming place and friendly. Alison is a warm and welcoming host, ensuring guests have help with local and regional excursions if required. The house is extremely comfortable and Hector, Alison's dog, is a gentle giant; they make a wonderful team. The bus stop outside the door makes it very easy to access the heart of Inverness, or you have a pleasant 15 minute walk via the River Ness. All-in-all I had a wonderful stay and can highly recommend Bannerman to fellow travellers. Close to city centre,good train and bus services for travelling the highlands,plenty of restaurants and bars to suit all tastes.Would highly recommend the Castle Tavern for a good selection of real ales and great food. Great location, friendly service, nice and comfortable. Good proximity to walk in the City. Lovely host and delicious breakfast. Room was clean and nicely decorated. Great for a quiet weekend away. i found this establishment to be of a very high standard and would recommend it to anyone going to Inverness. Once again I would like to thank Alison for this experience. There is a wide variety of restaurants, pubs and a theatre within walking distance. Fruit salad at breakfast was to die for! Just had to have more. Lovely coffee served in a pot which kept it hot. In other places I've stayed the 2nd cup is lukewarm at best Great that eating takeaways in room is allowed. Eden court theatre does good reasonably priced bar meals. Fish and chips and pizza available to take away just down the road. Excellent base for anyone to enjoy a break in Inverness. Especially good value for the single room which is in effect a small double. Nothing to fault whatsoever. Enjoy a walk by the river just 2 minutes away. Head out of the City and you reach the excellent little botanical gardens. Lunch at rocpool in the centre is superb value and quality. Nicest place i have ever stayed.Alison was so lovely and welcoming and the guest house was clean and charming and in a great location to everything.Her dog Hector was a sweetheart. The guest house is in a great location to shops and restaurants and to go sightseeing for the day. Really nice B&B ! Good location, approx. 15 minutes walk from City Center. We had a very enjoyable 2 night stay. Very clean and comfortable and a fabulous breakfast. Allison and Hector were great hosts. Extremely good location, veryefficient and comfortable place. Host was very accomodating, friendly and helpful. Thanks for the lovely stay. Good place to stay if you are participating in the Loch Ness marathon. Very welcoming, friendly and accommodating. Made it a totally carefree break. Very helpful with local info and directions. Comfortable accommodation and delicious breakfasts. Perfect! Even us 'oldies' only took 15 mins to walk to city centre! Local day trips by WOW and Highland Experience are excellent. The canal is just down the road, take a peaceful stroll on the canalside path to Muirtown Locks at the canal's northern end and have a coffee in the Co-op café! Another first class B&B. The Hotel sector need to take a good look at B&B's as, like this one, they are far superior. the only score i have placed at 4 instead of 5 is location, on the A82 so if you are not used to the sound of traffic it is probably best to keep the window shut at night. Within easy walking distance of the Eden Court theatre complex. Staff very friendly, and accommodating, rooms very clean and modern. Would be very happy to return to this accommodation. Friendly and just great breakfasts! Very friendly and helpful. Pleasant 15 minute walk along riverside to town centre or 10 minutes to good eateries. Quiet, clean, good breakfast would definitely recommend. We were attending a conference at Eden Court , Inverness. This B&B provided all we needed within a 10 minute walk and we are slow walkers! Super stay. Alison was very accommodating and hospitable. Boat trips on Loch Ness. Culloden and historical sites. Just enjoying the beautiful scenery and friendliness of the area. Walking biking and just relaxing. Lovely room, clean bathroom and comfortable bed. Alison is very personable and the breakfasts are excellent. This is one of the best B & B's I've stayed in - and is certainly superior to others I've stayed in, in the Inverness area. The room & en suite were spotless and well-laid out, the bed was comfortable, the shower was great, and tea, coffee, biscuits and water were all provided. The breakfast selection was good, I enjoyed a cooked breakfast both mornings and it was served quite quickly, by the friendly owner. The facilities and service were excellent and I will definitely stay here again. Our stay was great there. Many thanks to Alison. Inverness is a beautiful town. You will enjoy it for sure. I recommend Ness Islands for a walk. Friendly welcome and service . Fantastic place, thank you so much for having us! Brilliant! Allison is Very hospitable. Homey feel. Easy walk to the town/ city center. Lovely walks by the river. Alison was very helpful without "getting in your face" ! Room was immaculate and comfy. Well presented ensuite with a really good shower, with space to move around in the cubicle. The house was about a 10 or 15 minute pleasant stroll along the bank of the river Ness.We were not in a hurry!! The wee fridge in the wardrobe area was an unusual bonus for your cans of coke etc. All in all, a classy b+b with a really nice owner! Alison is a fabulous host! The B&B is very cosy and central, yet in a quiet area . The rooms are clean and comfortable, with cute. toiletries, as well as tea and coffee facilities. The breakfast is freshly cooked and delicious. I am very picky and I honestly cannot fault this place; I would be simply delighted to stay there again if I return to Inverness! I loved my stay here. My room was spotless when I arrived, the place had a nice homey feel to it, and Alison was a great host. Breakfast was always wonderful and very relaxing, having a view of the garden. The location is also convenient, being within walking distance of bakeries, groceries, the river, and all the shops and restaurants in the town center. I would highly recommend this place. Close to a wonderful walking path by the river! We had a lovely stay at Bannerman B&B could not find any fault with this. Located about 10 Min walk from City Centre along the riverbank. Friendly and clean would recommend. We found some lovely restaurants for dinner. The Waterfront a bit out of the way but lovely need to book as gets busy,also the Waterside along the river lovely restaurants also. Comfortable, with personalized breakfast and great simpathy of Mrs Alison. Two blocks from the riverside walk, where you can enjoy a healthy outing. A lovely clean and friendly place to stay, with touches of luxury to enhance the experience. Check out the riverside walks which are close by, and try the Loch Ness cruise from the Caledonian canal just 10 mins walk away. This is the third time we have stayed at Bannerman B & B, & we wouldn't actually consider staying anywhere else when visiting the Inverness area. 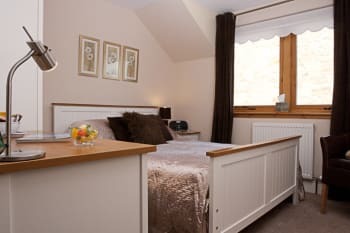 The rooms are always perfectly clean & well prepared, they are also quite large, the en-suite bathroom is, as always, spotlessly clean, & has everything you could need. Bannerman B & B is located perfectly on the A82, just a few minutes walk & you'll be in central Inverness, with all the facilities that this city has to offer. On the other hand it is also perfectly located should you wish to drive to Loch Ness & the surrounding area. It is also perfectly possible to drive to Skye & spend the day there exploring this wonderful island. Thank you so much! We really enjoyed our stay with you and in Inverness. Extremely comfortable,cosy,friendly and being on my own felt very safe.highly recommend. Shops shut by 6-30pm including the Mall. Exchange pub near the station offers decent food. A really good B&B. Spacious rooms, very well presented and spotlessly clean. A great breakfast and a wonderful host. Leakey's Secondhand Bookshop is something special - really great. Very friendly and welcoming. Very clean and spacious rooms. Absolutely great location. Alison is a great host. There's a reason this was the second time we've stayed there. We had a wonderful stay for two nights at the Bannerman B & B.Our room was lovely and the breakfast was nourishing and had many options. Thanks again! Loved staying here. It was friendly, quiet and very comfortable. Eden court theatre very close go and see something while you're there. Great theatre and lots of choice. Very friendly and accommodating to our needs, always willing to help in any way possible. Facility's and food was always well prepared and good quality, most enjoyable stay. Just a short walk into the busy streets with top class restaraunts, and shops. Lovely location just outside the town centre, upon arrival we found the staff extremely helpfull, she showed us to our beautiful room and have us a lot of information about Inverness. We had absalitely no fault with this place, it's lovely, quaint and comfortable! Lovely river walk into town just turn left out the door and left down the first street! Have stayed here several times and it is the first place I think of booking if I am visiting Inverness. Inverness is a great base for exploring the Highlands with good rail and bus links for all directions.There are some good and varied restaurants and for real ale fans and good pub grub the Castle Tavern is excellent. Bannerman B&B is a really good B&B. Breakfast selection was great. I really enjoyed my stay and am grateful to have discovered as I was researching accomodations for my trip. I definitely recommend seeing Culloden Battlefied, Clava Cairns, and Urqhart Castle. If you can head further north and explore areas like Rosemarkie, etc., you will find unexpected treasures slong the way. If heading to Urqhart make reservations at Riddler's in Drumnadrochit - very good food and a must if you love whiskey. Spend a day just walking around Inverness if you can icluding a stroll up to Inverness Castle. The view from there is amazing. Pubs are a great choice in town, and if in the mood for Italian try Zizi's. Inverness is not too small but compact enough that is is easy to walk to most locations if you stay at the Bannerman Bed and Breakfast. There are many restaurants from which to choose along the River Ness which is only blocks away. A short drive out of Inverness is the Culloden Battlefield Visitor Center which is well worth a visit. Would definitely stay again Alison was great made us very welcome. Bella Italia good for evening meal. A professionally run B&B, and a cut above the rest. The rooms are comfortable, exceptionally clean and the showers brilliant. it was my 14th stay at Bannerman B&B - that'll say it all! Bannerman B&B was a lovely - the room was very comfortable, a place to park the car and easy to get to and from the main sights in Inverness. Bannerman is out of town so you would most likely need a car or get a taxi if you are on public transport. Fantastic B&B with Alison extremely pleasant and helpful. Wouldn't hesitate to stay there again when on trip in Inverness and highly recommend to others looking for a B&B in the area. Great stay....Thank you. Castle Tavern excellent place to eat. If golfing Castle Stuart excellent course & facilities. Don't miss Nairn Dunbar as lovely course and people. Being able to park is really useful.We appreciated the change of sheets during the week and also regular changes of towels. Alison is able to give information about the area and is interested in where people have been. It is worth booking to eat at restaurants in the evening.There is lots of choice but they are busy. We were the second time at Bannerman's. It is one of the best B&Bs we've ever been. Alison was a lovely host who was friendly and most helpful. My room and the facilities were spotless. Would recommend to others. Utmost courtesy of staff...very kind!! Not miss the tour to Orkney islands. First class accomodation , and made to feel really welcome . Would return and would recomend to anyone. Very comfortable, quiet, relaxing and fresh breakfasts. Host Alison helpful and friendly. We would definitely stay again. Walk to restaurants , shops (10/15 minutes) as driving and parking difficult in city. Better to book your evening restaurant before you set out to explore, they always seem full! Excellent B&B, Chambre spacieuse, petit déjeuner varié, très bien placé. Ohne of the Best B&B, we ever met! Very friendly lady. Spotless room, good beds and a nice breakfast, just like home. Try Ed's (diner) in the Eastgate shopping centre. We we're very well welcomed. Everything we needed was there, everything was clean and we felt at home. Stayed here whilst in Inverness for work. Lovely bed and breakfast. Very comfortable room. Alison was a lovely host and really helpful. Breakfast on both days was perfect, tasty scrambled eggs. Although on a main road traffic noise was not too noticeable. The hostess is very sweet and accommodating and the rooms are clean and pleasant. Breakfast is a homemade treat! Downtown Inverness is within walking distance and has plenty of lovely pubs, restaurants, and shops. I recommend Blackfriars pub for a cozy drink and good company and Hootanany's for fun folk or Celtic rock music and dancing every night. We really enjoyed our stay here. A very nice B&B. It is easy to find and very convenient to walk around Inverness. A good place to stay in Inverness clean room, gooed bed and very good Internet. The center of Inverness is on walking distance. Room and bathroom were spotless. It helped being able to have an earlier breakfast than usually provided. We were so happy that we picked the 'Bannerman' for our stay in Inverness. It is a home away from home - very comfortable beds - cozy rooms. The owner, Alison, is a real nice lady who is so helpful in advising guests about where to visit and which buses to catch, and so on. Beautiful modern en suite bathrooms. Wi-fi. Terrific breakfasts.Close to Inverness City Center and to good restaurants along the banks of the River Ness. We will recommend the 'Bannerman'to any of our friends traveling to Scotland. I have left a more detailed review on Tripadvisor. First tip - BOOK NOW - before it's booked out. The house is so quiet and was perfect for two really bad sleepers. We slept so well!! We ate at 'The Kitchen Brasserie' and the food was very good. Warm welcome and good food. convenient location near to a pleasant riverside walk to the centre of Inverness. Riverside walk, Eden Court Theatre (includes cinema), Botanic Gardens, Museum and Art Gallery. Riva pizzeria, 4-6 Ness Walk, Inverness was excellent value for money and good service and only a 10 min walk along the river from house. Thanks. .
Inverness is a very good centre for travel to all parts of the highlands with good bus and rail services. Very helpful and friendly staff. Very quiet location. Good food. Well appointed room. Would stay again. Very accommodating, friendly and helpful. Lovely breakfast to wake up to. Though I had stayed in for the whole of the evening, should I have needed any advice or help, Alison was on hand. The snug was perfectly comfortable and cosy as the name of the room suggest! Not far from Inverness center and easy to travel from to go towards Loch Ness. I was travelling to Inverness from Canada so that I could attend a family funeral. I had asked if it was possible to drop off by bags early and have the chance to change into funeral-appropriate clothing. Alison was very quick with a reply saying that it was no trouble at all to drop bags off early and to change. My room was ready well ahead of the scheduled check-in time. All of this to say that Alison's helpfulness on this occasion was so greatly appreciated. My room (The Snug) was very comfortable; bathroom just recently renovated and well appointed; and breakfast was yummy! I'd defintely consider staying again! The Black Isle with Cromarty, Fortrose and Rosemarkie is a must see. But what do I say, Scotland is a must see! A little outside the town centre but good for us as we were attending an event at the leisure centre, 10mins walk away. Nice modern decor and a really comfortable bed. Spotlessly clean with an ensuite shower room. Would stay again and reccomend to friends/family. Would like beans with breakfast. Our stay at Bannerman was absolutely wonderful! Our host was extremely welcoming and had travel guides and restaurant menus to hand out at the ready. The room had everything one could need along with a little bowl of sweets and was cleaned every morning when we weren't there which was well appreciated. Well priced and worth every penny! Hootananny's is a must if you go to Inverness. A lovely little pub that gets very lively around 9:00pm as the live music starts. Good pub grub as well, would definitely recommend going before 7 and just staying till the music starts. Yet again another perfect holiday! We can't think what else you would need in regards to facilities & location, & of course it's spotlessly clean. I tended to babble on a bit, & I hope Alison didn't mind, because she is very knowledgeable about all things Scotland! Well worth walking towards the river & crossing via the Ness Islands to walk into the city, it's only a very short detour & very pleasant. Highly recommended for good value food is The Castle Tavern, or if you want to spend a little more try The Kitchen Brasserie beside the river. Alison was a fantastic host. Breakfasts were delicious, our room was cozy and inviting, and we felt at home. Thanks for making our visit to Inverness so wonderful, Alison! We stayed four nights. We appreciated the warm welcome, our cosy room perfectly clean and comfortable, the excellent breakfast. Third time I have stayed here over a six year period, and I cannot recommend it highly enough. Nothing is too much trouble for Alison, the rooms are spotless & clean, the location is good, breakfast is plentiful. We will definitely be back again. Excellent location for the Loch Ness Marathon, as it's approx 15mins walk from the finish. 10 minute walk along the River Ness to town and 10 minute walk to Bught Park if you are running the marathon!! If you fancy a curry head to Rajhar. Very nice accomodation, close to the city center, very good breakfast. 100% recommendation and we would like to come back again someday. Extremely clean and tidy establishment. The room was very nicely decorated and furnished. Lots of space for clothes and shelves in bathroom very handy for storing personal items. Good provision of hooks! Good breakfast provided and the location ideal for a ten to fifteen walk into the city centre or even shorter to visit the Floral Hall. St Andrews Cathedral short walk along river bank. City Centre within easy reach. It is a must to walk across the Ness Islands and visit the Floral Hall, again, just a short walk from B and B.
Alison was great to work with. Really appreciated her willingness to let me drop a suitcase off for day storage before official checkin. Castle Tavern is a great place to enjoy good food in a pleasant environment. we (two friends) stayed for one week It was a perfect stay. If we ever come back to Inverness we will stay there again. Alison is a wonderful host and Barney the dog is soo cute. My wife and I visited the Bannerman Bed and Breakfast Inn with our son and daughter-in-law. The accommodations were very comfortable. The breakfast was hearty and very tasty. The host was pleasant and helpful. We enjoyed our stay very much and highly recommend it. Located on the main road to Loch Ness and Fort Williams so a bit loud but short footwalking distance to the city centre. Nice and clean rooms, very good freshly cooked breakfast, helpful and friendly owner. Strongly recommended when planning to stay in Inverness. Nice food and company in the "Castle View" Pub, excellent indian food for a very reasonable price in the "Radjah". Para volver a repetir sin duda alguna. Mustard Seed Restaurant and Rockpool Restaurant are excellent and within walking distance. The location was convenient for scenic walks to restaurants and shops as well as easy access to main roads. The refrigerator in the room was much appreciated. Tasty food and warm reception from the innkeeper. Immaculately clean. Off street parking was also appreciated. Little Italy up the hill on High Street. Our stay at Bannerman B&B was the perfect start for our journey through Scotland in 2014. Alison is a very friendly host, the rooms are nice and comfortable, breakfast is plenty and delicious! We especially liked the fresh fruit salad. For dinner we recommend the Castle Tavern! Very good food at reasonable prices and friendly service. Try the haggis! Had a very pleasant stay. Alison was very friendly and personable and also a very good cook. A good variety of options were available for breakfast. The room was spacious and quiet. The bathroom was also spacious with plenty of hot water. Very nice. Castle restaurant was good. Very large portions for a reasonable price. Good friendly service. Would also recommend the Skye Tour booked through the visitor information centre. We had a really great holiday with you, a good location for all the facilities in Inverness, & for seeing the Highlands. Nothing was too much trouble, great advice about what to see & do. Allow plenty of time to get around the Highlands, because you'll be stopping every few minutes to take in the scenery & to take photo's. Perfect stay! For further details see Tripadvisor review (viaggi_cs). Alison has left nothing to be desired. Her attention to detail is first rate including the breakfast. We found the twin had plenty of room which is unusual for a B&B and had a pleasant outlook over a well kept garden. The location was an easy and pretty walk to the city centre. We would have no hesitation in staying there again but if we had our time over again we would have stayed longer than the two days we spent there. Inverness is a beautiful town and an ideal location for a home base to explore the northern part of Scotland. We felt very welcome on our arrival and Alison was very proactive in ensuring that our needs were met. We were very grateful that we were offered an early breakfast on our final day as we were travelling on 0755 train. Thanks also for arranging the taxi to the station. Most enjoyable stay in a beautiful part of the UK. If you want a day away from the car the train journey to Kyle is spectacular with such wonderful views. Great fish at chips at Hectors café in Kyle. Bannerman Bed and Breakfast was a perfect choice; location, rooms, breakfast, and hospitality. Allison provided helpful information, and even scheduled dinner reservations for us! She guided us to the Black Isle, which was lovely and a great addition to what we had planned. Visit: Loch Ness Centre and Exhibition, Urquhart Castle, Culloden Battlefield, Clava Cairns, Black Isle, Ness Island Walk. Dinner: Dores Inn, The Kitchen. Really lovely B&B - Alison has everything covered from tea & coffee in the rooms to local restaurant guides and a cute dog into the bargain. If the cooked breakfast had included black pudding it would have been absolute perfection!! Very friendly and top class service given to all guests. My favourite B&B in Inverness. A very good, but too short, stay at Bannerman B&B. The rooms are very nice and the Bed was the most comfortable that I ever seen. A nice path go along the water and reach the center of inverness on it's better angle. Ask the staff for direction, a very nice walk to town for a nice meal. Very welcoming hostess :) all was clean and very cosy! Also with a delicious Scottish breakfast. Will surely be back! Location about 20 minutes walk from railway station and 5 minutes from river. Very quiet even though on main road to Fort William. Comfortable, well furnished and very clean. Free wifi in rooms. Breakfast room - pleasant outlook overlooking rear garden, good breakfast choice including vegetarian. Run by Alison who is friendly, welcoming and informative. My second stay here and first choice when next in Inverness. Bannerman is well placed for walking - Ness Islands and Caledonian Canal within easy walking distance. There are maps displayed along the river bank showing walking paths around Inverness. Also enjoyed Inverness Museum and Art Gallery and Titanic Museum both free. This was my 5th stay here,the fact that Ikeep going to stay here speaks for itself ! Wonderful stay for 2 nights, great location, easy, quick walk to the river and restaurants. Nice and quiet. very kind, accommodating hostess! Very welcoming host, keen that you get the most from your stay. Tastefully decorated room with adequate heating and toiletries in the toilet/shower. Very good breakfast with varied menu. Car parking space off the road. If you have a car then it is worth visiting Ullapool where there are nice shops and an interesting harbour, depending on what boats are visiting. The Blythswood charity bookshop at the harbour is well worth a visit. Nice café above the sports equipment shop where you can also buy lovely pictures of the surrounding area. A lovely b & b - just on the edge of town. 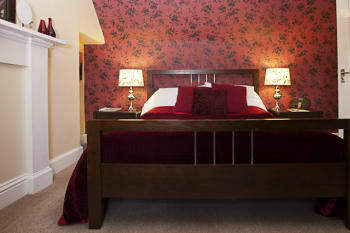 Warm and cosy bedroom, with a good range of facilities. One of best highland breakfasts I have ever eaten. Accommodated my dietary requirements without hesitations. Will be booking to stay here again in the future. As always very much enjoyed our stay - so handy for our theatre visit - just a short walk to Eden court. 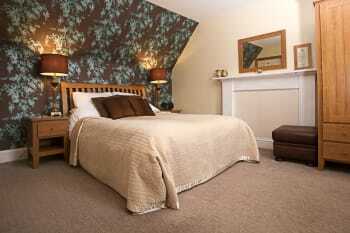 Peaceful relaxed atmosphere and very comfortable rooms - our daughter loved the snug room! Alison welcoming and knowledgeable about the area. The room was very spacious and well decorated. The bathroom was very modern and spotless. The room was stocked with little extras such as sweets and cotton wool. Breakfast was really good with a choice of cooked options. It's about a 10 minute walk from the centre and has off road parking for a number of vehicles. For the price I could not fault this bed and breakfast and the service that alison gave. Absolutely brilliant. Lots of choice of restaurants and bars nearby. Alison was more than accommodating. She made us feel very welcome and gave us plenty of options of places to visit and check out as tourists. We would definitely stay again. We also loved the dog Barnety-too cute and so fluffy!!!!! Very nice place with a relaxing and friendly atmosphere. Clean rooms, cost effective, convenient location and congenial staff made for a great 3 nights in Inverness. Bannerman B&B will be my first choice on a return trip. It was lovely and the location was great. Easy to find. We would highly recommend. Beautiful walks, so be sure to take advantage of the location. Charming staff and very comfortable mattress. Amazing sausages for breakfast! Great place to stay, beautiful room, enjoyable breakfast and Alison is very friendly and helpful. The B&B is just a 10 min walk along the river to the city centre. Thanks for a wonderful stay! You have to try the 'Monarch of the Glen' at Johnny Foxes! Very delicious! And go for dolphin watching to Spey Bay! Excellent B&B. Alison is a great hostess very helpful and welcoming. The fantastic breakfast sets you up for the rest of the day. Best sleep we have had in years, bed very comfortable and everything is spotless. eat in the Kitchen Restaurant overlooking the river we had a great meal!!!! we visited Culloden battlefield and would recommend a visit to this great site. Lovely Stay would go back in a minute.Landlady very helpful with a lovely manner. Had a lovely time. Little Italy good Italian. Leisure pool great for kids. we stayed in the mackintosh room( very beautiful). vwery clean, great breakfast esp sausages, very high standard and great location. Alison was a great help to us which made our first visit to inverness enjoyable. I would not even consider staying anywhere else in inverness when i go back. I found the bedroom a bit too hot at night but better too hot than too cold. Very good location, a pleasant walk into the centre of town. Alison offers a wide selection of local restaurant menus, which is quite helpful especially on the first day before you get to know the city. In addition you can borrow DVDs from her collection to spend an evening relaxed in your room. Alison also helps in finding nearby attractions to visit. She is a very nice and friendly person. We really enjoyed our stay and highly recommend this B&B! We really enjoyed Bannerman B&B! A warm welcome and very comfortable stay. The best B&B for me so far in Inverness. The DVD library a nice touch. Alison has been very kind and helpful, nice room, delicious breakfast, sweet "Hugo" ,we enjoyed our stay! Culloden battlefield, Inverewe gardens, Trip to Ullapool through the stunning highlands etc. Everything was fantastic. Really lovely, comfortable room and yummy breakfast! Thank you Alison! Rockness Festival 2013 was amazing! Alison was a perfect host, and Hugo the dog was very friendly! Very nice stay in a wonderful part of the world. Very highly recommended place to stay. Great place as a base for travelling the region. Wonderful views over the river, small, compact town but large variety of places for food and drink. Great service, very nice rooms. Very pleased over all. It was a delight to stay there. lovely b+b stayed 3 nights,in the fraser room which is really nice. 15 min walk to centre of Inverness. room facing the front onto the main road to Loch Ness but no noise at night.Cant fault anything about our stay.Decided to book at Bannerman due to previous reviews and also because of the parking facilities. Alison, the owner is welcoming and helpful. Victorian Market in town centre, drive long loch lomond to Drumnadrochit and Urquart Castle. If you like history a visit to Culloden Battlefield + visitors centre. Numberous restaurants in the town centre to pick from. comfortable, homely, friendly, clean, professional and a hot and powerful shower is always a big bonus. i will certainly return. Ideal for people attending motorcycle direct access courses at the training center round the corner. Also it was very easy to find from the main road coming into town and just a 5 minute walk from town center. Get Alison to show you the picturesque walk into town. Taxi from rail station about £4 one way and only takes about 5 mins max. The room was lovely and spotless. Alison was a great host and provided us with excellent information about things to see in and around Inverness. Thank you, Alison. We had a pleasant stay at your B&B.